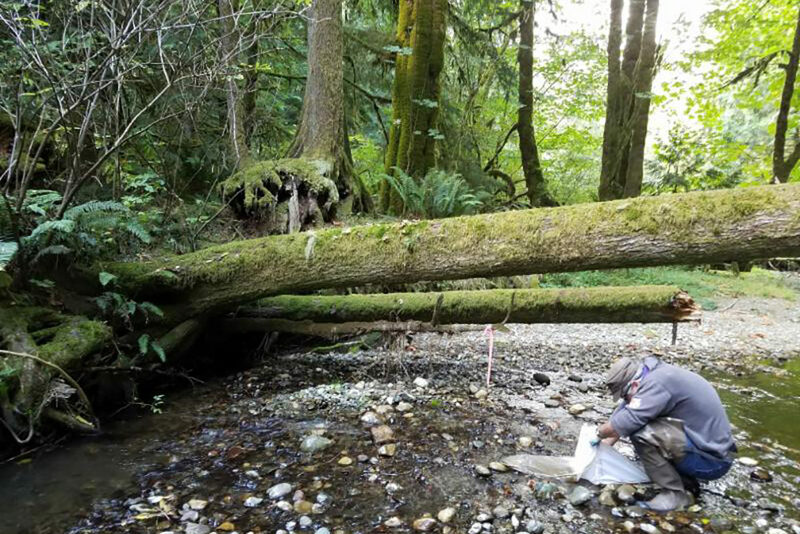 BREMERTON, Wash. – Residents of Kitsap County can learn how to protect and preserve their streams and waterways at an upcoming Stream Stewards training course from Washington State University Extension experts. Offered annually, the fast‑paced, science‑based course teaches participants about stream ecology, fish and wildlife, and human interaction with their watersheds. Kitsap County’s Stream Stewards course meets 9 a.m. Tuesdays, Jan. 22–Feb. 26, at the Eagles Nest Community Room on the Kitsap Fairgrounds in Bremerton. During the course, Kitsap‑area organizations will share information about local ecological projects, offering participants new ways to make a difference in their communities. Each session includes a morning classroom learning experience paired with an afternoon field excursion. Cost is $60. For online registration, see the WSU Kitsap Extension website. WSU Kitsap Extension partners with the Washington Sea Grant program for Stream Stewards. To learn more, contact Amy Brodbeck, extension water stewardship program coordinator, at 360‑337‑7157, ext. 6272, or abrodbeck@co.kitsap.wa.us.